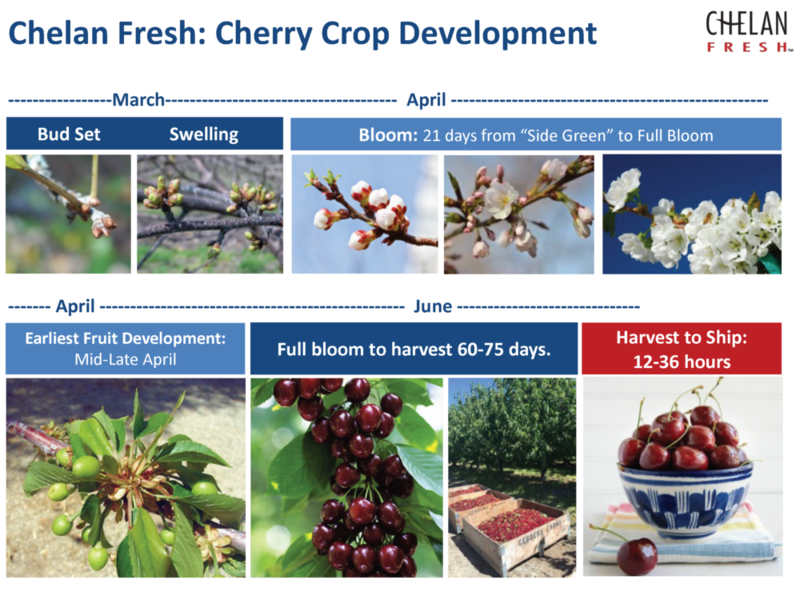 Currently the Chelan Fresh orchards are still in the Bud Swelling stage based on the progression chart above. Our ultimate start date will be determined by the number of degree days from now until full bloom and once we hit full bloom, we know harvest is a short 60-75days. We anticipate the harvest to start around the 2nd week of June but Mother Nature could give us some really warm spring days that may allow us to begin harvest sooner. 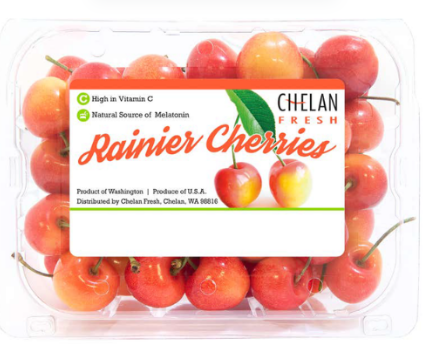 Once Chelan Fresh cherries are harvested, we plan to ship those cherries within 12-36 hours of harvest and processing. 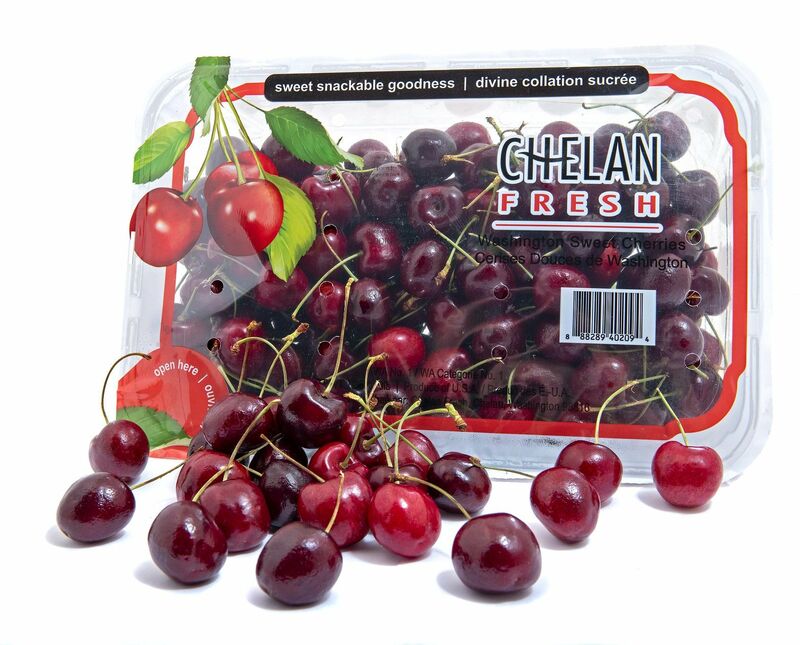 We take great pride in our farmers who make sure that our cherries are harvested at peak times in the early summer mornings, cooled at the orchard sites and are kept cold until they reach retailer shelves. 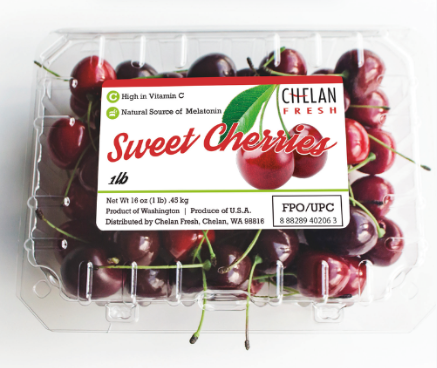 In addition to packing clamshells for Red Sweet Cherries, Chelan Fresh plans to roll out more sustainable packaging options such as TopSeal trays that feature 30% less packaging and will be available in 2lb, 3lb and 4lb sizes. 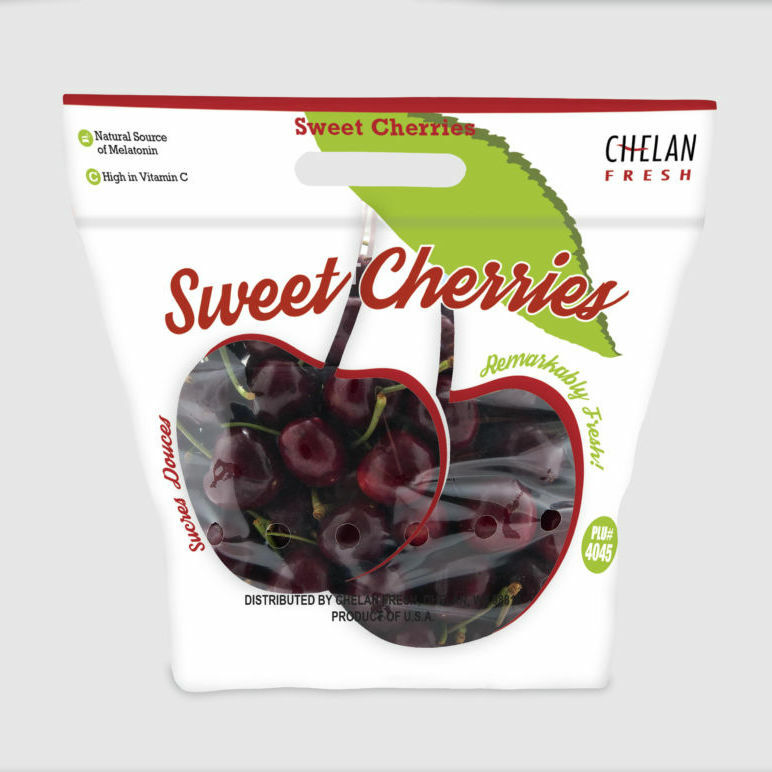 Our 2.25 lb pouch bags with their striking graphics, bilingual messaging and beautiful see through windows are the perfect option for consumers who buy cherries for their family to enjoy. 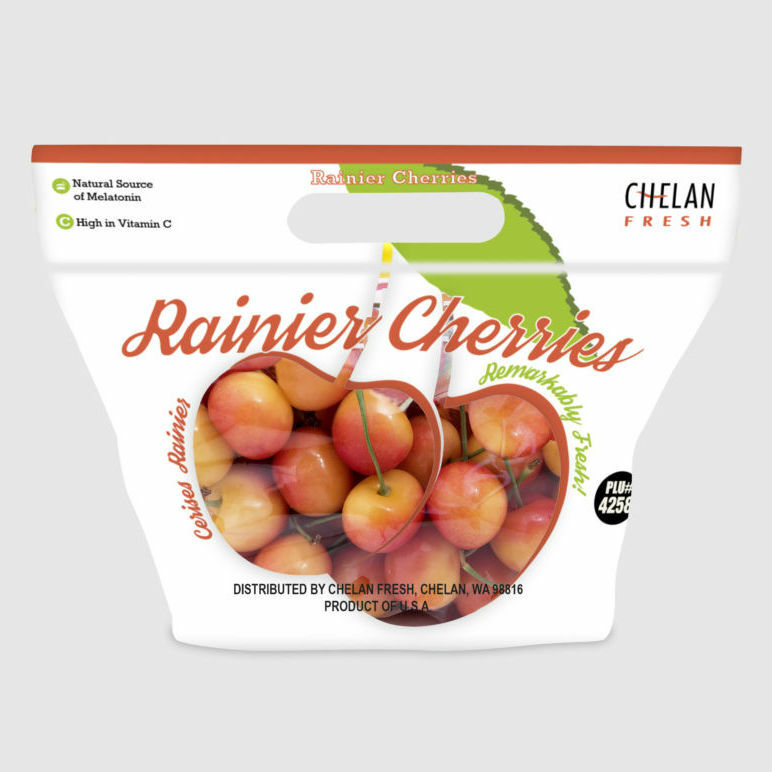 Beautiful, sweet, Rainier cherries will continue to be packaged in see through 1lb and 2lb clams and the popular 1.25 lb pouch bags. 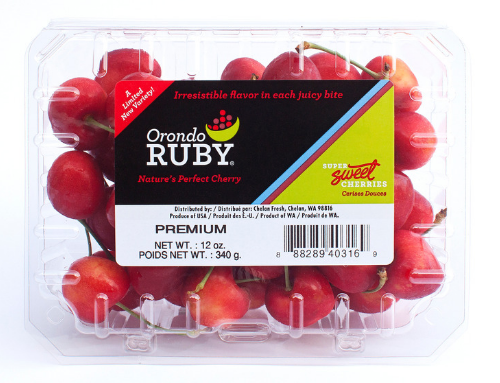 The Orondo Ruby® cherry is only available for a short time starting the last week in June through the middle of July in 12 oz , 1 lb and 2 lb clamshells. 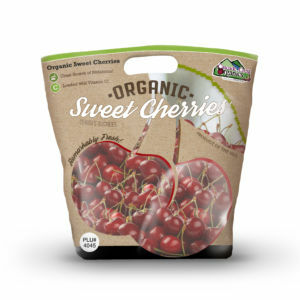 The beautiful red-blush color of this cherry and its complex flavor gained it the nickname “Nature’s Perfect Cherry”. 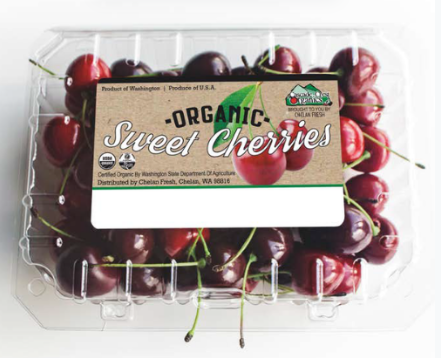 If organics are your preference, Cascade Crest Organics® Red Sweet and Rainier cherries are produced by 4th and 5th generation farmers who are proud of their organic farming heritage. Look for our Cascade Crest Organics® label fruit in clam shells and pouch bags at retailers who are committed to organic produce programs.